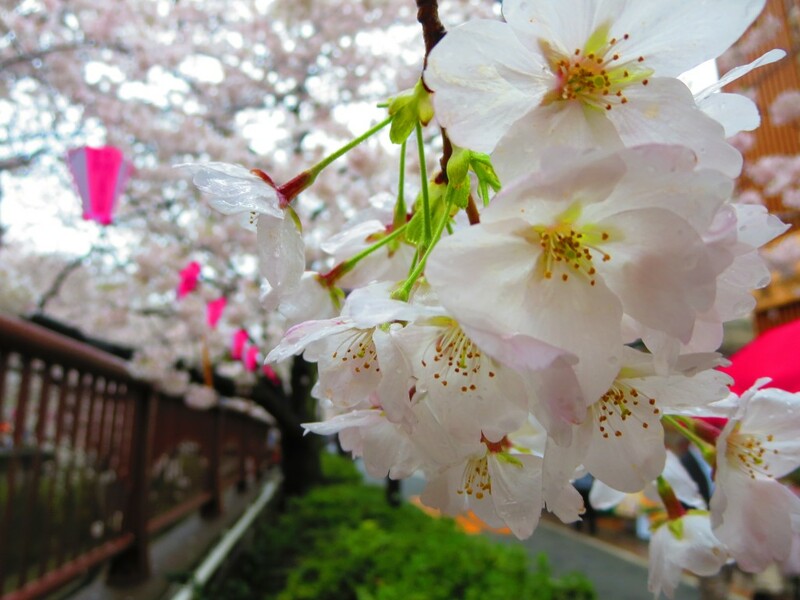 Early spring is cherry blossom season in Japan. It’s a time for merriment, eating and drinking, and enjoying the company of friends and family while gazing into the vivid pink and whites of flowers in full bloom. It’s also one of the few times in the year when busy people abandon their work and obligations in exchange for a few hours of bliss in the outdoors. 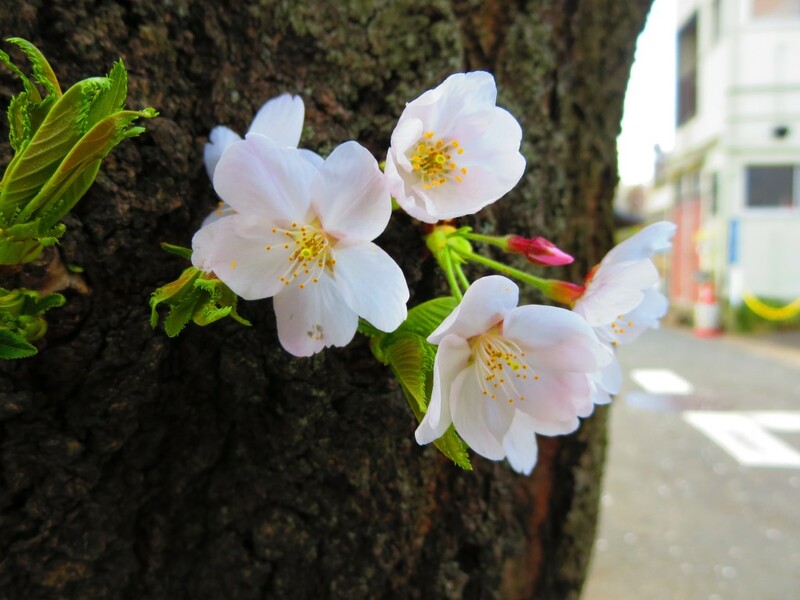 In Tokyo, where time and green space are sparse, cherry blossom season is a treasure. This year in particular demonstrated the fleeting nature of the blossoms, when they withered away far too quickly due to frequent storms and rain showers. Even as the trees grew bare, however, crowds gathered at all the favorite places. 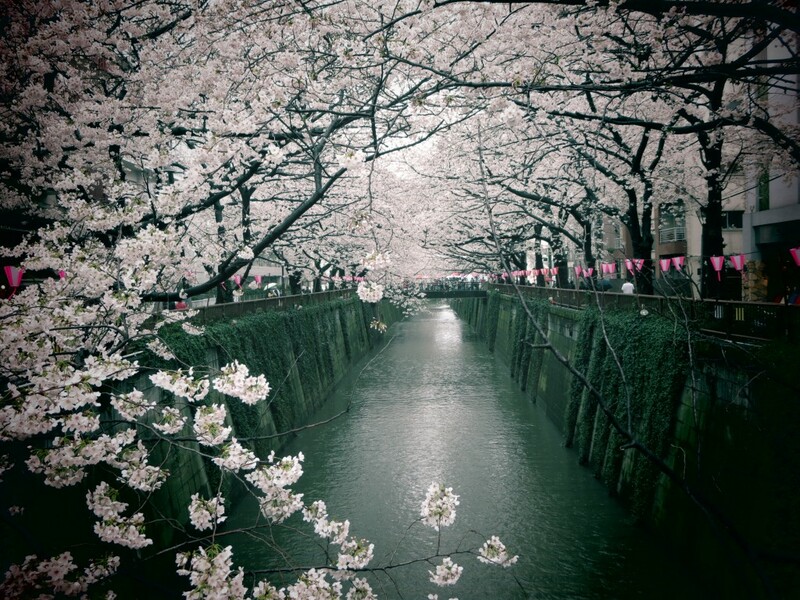 One of the most popular cherry blossom viewing spots in Tokyo City is Meguro River at Nakameguro Station. As the river stretches onward, it is lined on both sides with massive cherry blossom trees whose branches swoop over the river for a picturesque effect. Morning, day, and night, the streets are so full of people that cars can barely pass. Vendors of all sizes opened up shop, selling everything from kebabs to sparkling wine to sausages to customers. Riverside restaurants were packed from morning to night, making it nearly impossible to snag a seat with a view unless reservations were made months in advance. Despite the chaos of pedestrians, a visit to the Nakameguro cherry blossom viewing was well worth the effort. The peaceful blossoms along the river were even more beautiful with the surrounding noise and frenzy. While they didn’t last as long as everyone had hoped, there is always something to look forward to again in the following years. Make sure to visit Nakameguro if you’re in town next spring!